In this page you will be find all the answers to the 16 levels of Wordscapes Red. 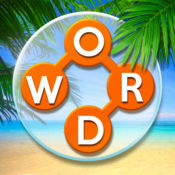 Wordscapes can be considered as another puzzle game that has been developed by PeopleFun Inc. The company has been able to maintain a solid reputation by giving life to a variety of popular puzzle games such as MixTwo, Spell Blitz and Word Chums. It is possible for you to find the influences of those games on Wordscapes as well. Next category? Wordscapes Vivid answers! Have you finished all 16 levels of Wordscapes Red? Now it’s time for the answers of the next category; Worscapes Vivid answers.